This calendar year is slipping away, but we still have plenty of time before the ball drops on December 31 to add more birds to our respective lists. We may not see as many 2016 species as Arjan Dwarshuis (epic! ), but happiness is a journey, not a destination, right? I suffered a deficit of happiness this weekend when my scheduled birding time became subsumed by a rare work emergency. By the time I finally hit the trails, most birds were enjoying their afternoon siestas, leaving me little more to enjoy than Mallards. Corey’s choice for Best Bird of the Weekend was an easy one. 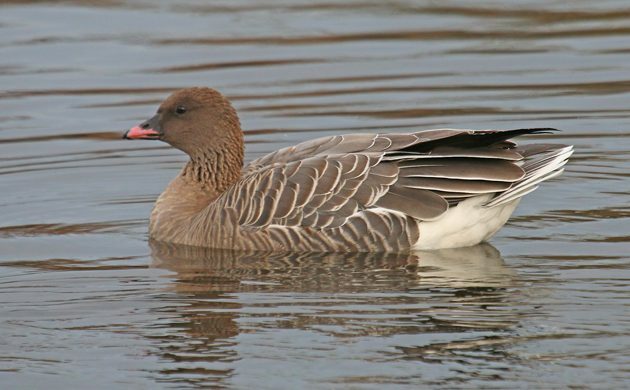 After all, Pink-footed Goose is still on the level of continent-level rarity, even if it has become more-than-annual in New York State. The cooperative bird at Hendrickson Park in Nassau County was so easy to twitch that Desi, Corey’s six-year-old son, came along and enjoyed the rarity too! I saw a nice Eastern Rosella while walking with friends in a park. It’s introduced, but I still love parrots. Also, not the weekend, but just saw (as opposed to heard) my first Bronze Shining-cuckoo of the year. Glorious, only my fourth in NZ. Where Are You Birding This Final Weekend of March 2015?